It was all Mikey’s fault. He moved in slow motion, with grace, as if he was flying. The problem that exists here is that Mikey was moving in slow motion passed me, a casual pass while running the mile for time in 2nd grade physical education class. He did it again in 3rd grade. And in 4th, 5th, and 6th. Perhaps you can blame Mikey as the reason that I’m not quite fond of running. (Bobby Baxter, it’s your fault, too.) Curiously, in 7th and 8th grade I found myself on the Oceanside Middle School cross-country team, running several miles after school all fall. It seemed exciting at the time, and a good way to stay active before lacrosse season started in the spring. At some point during those two years, I realized that we were running in a straight line. We were running the same path over and over again. This struck me as a little bit silly. We take a human body that evolved to explore and master movement and we’re asking it to…run in a straight line? Today this strikes me as utterly insane. As I’ve watched cousins and students grow and explore, I’ve always noticed something about their movement: They never run in straight lines. They turn, weave, and carve through their landscape, and they hop, run, skip, and jump to their heart’s content. 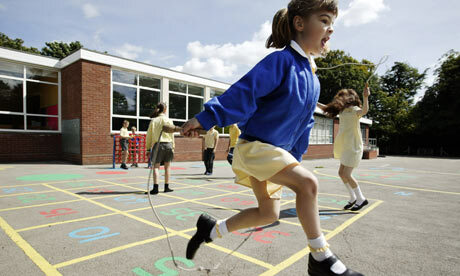 Children don’t naturally run, it seems, but they explore. They move. Turning an eye towards their potential parents, consider what one of the most popular activities in fitness is: Running. Running down the block. Running on a treadmill. Running in a straight line. Starting in childhood, we’ve learned that running is the panacea of health, and that the Marathon is the pinnacle of fitness. This is in no doubt thanks to the Dr. Cooper and his book, Aerobics. Since the late 60’s we’ve been obsessed with the heart, and it’s undoubtedly considered the most important muscle in the body. The significance of aerobic/cardiac health is undeniable, and running serves as a very simple device to measure this performance. After all, the biggest draw to running is that all you need is somewhere to do it, a pair of sneakers, and a stopwatch. As we grew up running, the notion of running for health, hotness, or happiness became deeply rooted in our culture and our mind. Running became something to do, and something to love. Often that love came from the so called, “Runner’s High” often attributed to endorphins that cause a sensation of bliss. Either as a positively interpreted pain response or a state of Flow, the runner’s high is a very real phenomenon for those who experience it. Others, without the desired feedback of the runner’s high, learn to love their hatred of running. We strongly associate struggle, hardship, and pain with progress, and are quick to claim “What doesn’t kill me makes me stronger.” Right, except for when it makes you weaker. More on that later. We may have a natural love for the effects of running on our body, or we may have a learned response to how it makes us feel. Either way, that doesn’t change the fact that for millions across the planet, they love to run. That love is something to celebrate, and the hard work that comes with intense exercise is something to be celebrated as well. If you enjoy it: Run. If you have a physique goal: Probably don’t run. If you’ve been told time and time again that running is the panacea of health and fitness: Continue to read. If running brings joy and happiness to your life, do all of the running that you want. Run your way across your country, or continent, or around the world. (Hell, I know a badass that ran a marathon in Antarctica!) The most significant advice I can give those inclined to running is to find an appropriate balance so that running doesn’t hurt you. A weakness-related injury prevents you from doing the things you want to do because you haven’t done the things that you need to do. Aerobic culture places a heavy emphasis on aerobic capacity, often at the detriment to movement quality and strength. If your activity is running, or cycling, or swimming, the majority of your time will be spent improving that activity, but there should also be time, two to three times per week, spend improving our mobility and strength. This same notion applies to those with specific physique goals, as it’s hard to complete the required exercise if you’re constantly recovering from other exercise. Running starts as a very efficient way to burn calories and develop aerobic fitness, but the more frequently we do it, the less efficient it becomes. The same evolutionary advantages that allow you to read these very words also allow us to become better at the challenges we regularly face. Our body doesn’t want to burn calories, as that makes survival more difficult, so it does everything within its power to save fuel. When you start running, you guzzle gas like a Ford F-150. Pretty soon after that, you’re a Prius running on electric. This leaves a lot to be desired on the fat loss front, and negating that efficiency with harder, longer runs often opens us up to over-use injuries. The icing and taping routine may work for now, but on a long enough time line the injury-free rate for everyone drops to zero. In fact, a meta-analysis of literature covering running injuries suggested that the overall yearly incidence rate for running injuries varies between 37-56%. 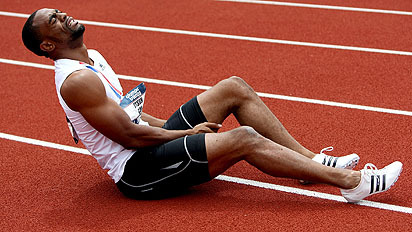 Of these, 50-75% of these injuries appear to be overuse injuries due to the constant repetition of the same movement, and that recurring injuries ranged from 20-70% of the cases. A related study found that among the modifiable risk factors studied, weekly distance is the strongest predictor of future injuries. Interestingly, there seems to be a declining injury rate the longer you’re actively running, which leads me to believe that those who are the best suited for life-long running are those who spend longer periods of time building up their training volume. It seems that the biggest obstacle to becoming a “runner” is actually starting to run. Understanding this behooves the beginner who seeks This behooves novices and veterans alike, as it appears that the further you run, the more likely you are to suffer an injury, and once an injury occurs, you’re more likely to suffer subsequent injuries. Your goal may be health related or hotness related, and I’m positive that those are happiness related, and I believe that we can all agree that we’re less happy when we’re injured. It’s hard to build aerobic capacity or burn calories when we’re hurt, even if you may feel good before that injury. Many habitual runners thrive on the empowerment of completing a workout or setting a personal record. One minute faster, or one mile further, are powerful reinforcers of hard work. There’s absolutely nothing wrong with having yourself a run, a jog, or a frolic in the park, provided that it’s an empowering event for you. What about those who are nauseatingly bored by these treks, or those who feel more miserable with each mile? That’s completely normal. You don’t have to run. Insisting that everyone needs to run, from a 5k to a full Marathon, is akin to insisting that everyone who drives a car needs to drive the Dakar Rally or the Indianapolis 500. That sounds absolutely ridiculous, doesn’t it? Those with specific physique goals are far better suited addressing modifications to their diet, as we can’t out train it, but also looking at movement quality and strength before aerobic work. We see more significant changes to physique with dietary intervention and strength development than we do with aerobic work alone, and the required engagement may be far more empowering. How so? If the entire premise of an exercise routine is distracting yourself from the mental pain of that exercise, is it really an appropriate activity that best serves your Path? I think not. I believe in a world where we choose to be physically active because it feels good, not because of a well intentioned but misguided attempt at enduring hardship. If you were sold running as the panacea of fitness, the pinnacle of human performance, ask one question: Why? If your goal is to look good naked, then running and related steady state cardio is relatively low on the Hierarchy of Fat Loss. Address any inconsistencies in your diet that are preventing you from reaching your goal. Establish a plan that starts with movement quality and strength development, adds high intensity interval training, then adds aerobic intervals, and finally adds aerobic steady state work. This balance allows you to achieve the best training effect for your investment, and often leads to the most radical changes in physique and performance. 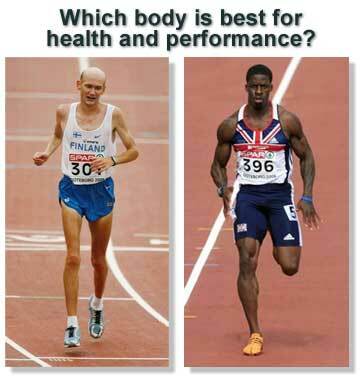 Using these two world-class athletes in comparison doesn’t apply to their sport performance. They’re both elite at their preferred event, but it may help keep us honest about how we think we should train. If smallness is your thing, the Finnish athlete’s physique may appeal to you, and since it’s a result of his training, that may be part of your path. If you’d prefer to be leaner, or to carry more muscle mass, the look of the British athlete may be more appealing, and your exercise program may be closer to his athletic preparation. There is no right or wrong body to desire, or activity to enjoy, but there are rules in exercise science that help us get the best results possible for what you enjoy doing. All of this information leads me to one conclusion: If you love to run, run. 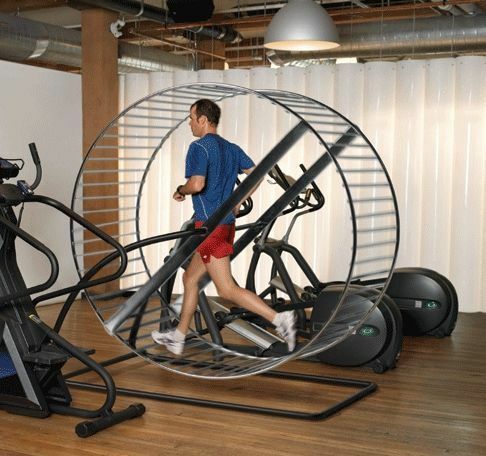 Don’t run because it’s an incredible fitness tool; there are better. Don’t run because it’s essential to looking good naked; it’s not. If you have a profound, passionate love for running, if it makes you feel incredible, then run. 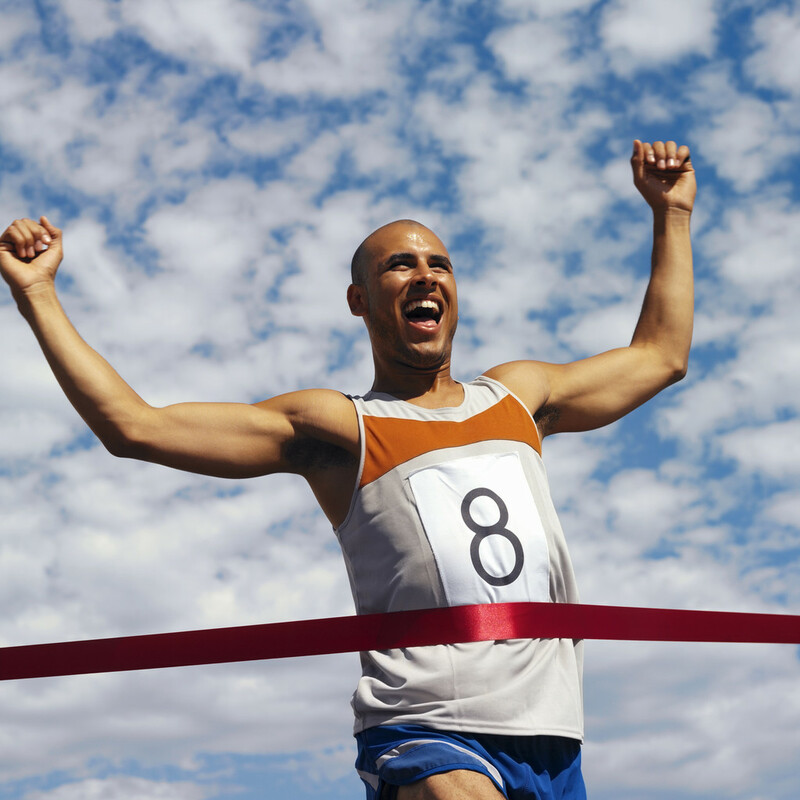 Understand the inherent risks associated with your 5k’s, marathons, and everything in between. Accept that your performance can be maintained, and often improved, by investing time in moving well and developing strength in edition to the time you spend logging miles. If you don’t love to run, don’t run. It seems simple, but too often we struggle through activities we’re not engaged with because they were put on a pedestal. If you were sold running as the panacea of fitness, the pinnacle of human performance, they lied to you. Struggling through something that may improve health or hotness, but at the detriment to your happiness, is not something that I can support. As you continue to learn about your body, it comes down to one thing: Do more of what you love. Next PostNext Some News from the Clubhouse!